AddressThe address for this sale in Fair Haven, MI 48023 will no longer be shown since it has already ended. 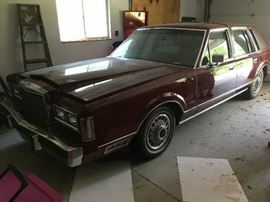 A 1979 Lincoln Town Car with only 89,000 miles!! What a find! 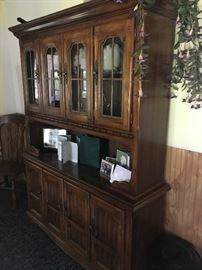 A very nice china cabinet that matches a table and chair set -- great for storage and displaying your favorites! 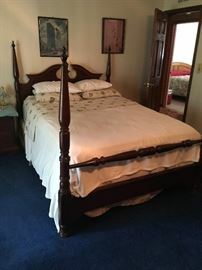 I love this four-poster bed, one piece of a complete and beautiful bedroom set. 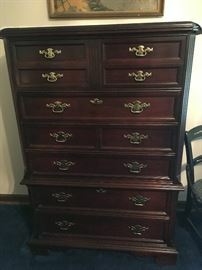 This is a great lingerie dresser -- these are so nice to have. This is what I would consider the "man's" dresser or chest of drawers.
. . . the woman's mirrored dresser. 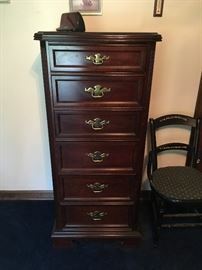 This is one of two night stands -- what a great set! 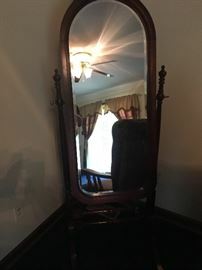 . . .I almost forgot -- the bedroom set also comes with a dressing mirror! 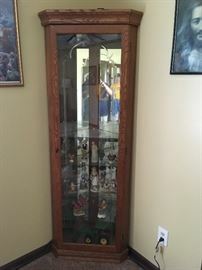 I love this curio cabinet -- would fit in any room. 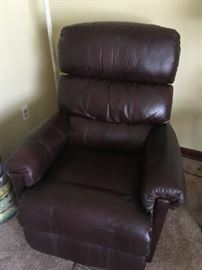 A nice leather recliner -- these retail for at least $700-800. 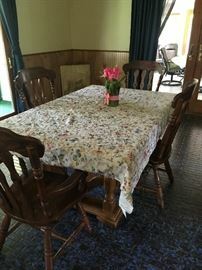 This dining room table matches the earlier china cabinet -- they have an oak finish. 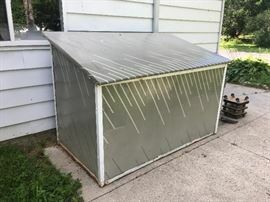 A great outdoor storage unit. This is one of two Hitchcock-type chairs -- but these are originals!! This matching chair has an early piece of unmarked Roseville pottery on it in "as is" condition. Remember majolica!? This piece is beautiful and is also an "as is" piece. Get ready -- the outdoor stuff is vast and plentiful. This is a pump/air compressor . . . I think. An aluminum step ladder and yard tools. Go get 'em in your Gator -- you don't have to live in Florida to have a Gator. One of two or three stack tool boxes. 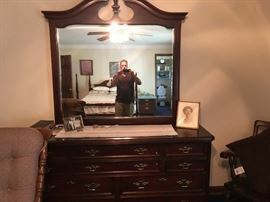 This is an oak-finished woman's dresser -- goofy guy in mirror not for sale. I love this patio set -- still in excellent condition because it was used on an enclosed patio. There are so many cool things in this sale. I love t his metal arbor. 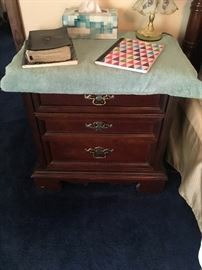 A simple but practical chest of drawers.
. . . the other -- nice vintage pieces. This is a newer upright freezer. A nice upright piano -- perfect for the kids' piano lessons. This is a space heater -- but notice the nice wicker piece in the corner. An upholstered rocker with matching ottoman. A very nice wrought iron and glass coffee table. Notice the nice area rug beneath. This is another woman's mirrored dresser when assembled. A third standing lamp -- in Hockey Town we call that a hat trick! A light-up Niagara Falls -- cool! This piece begins the wood shop tour -- it is extensive with every wood making machine known to man.